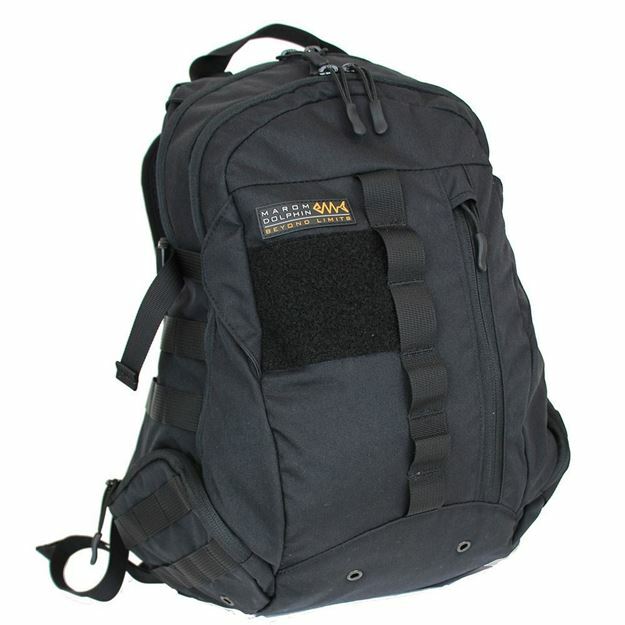 Marom Dolphin EGG 20L Pack is slim yet roomy. Built with comfort, durability and functionality in mind. For :everyday carrying and tactical use. Marom Dolphin Egg 20L Pack is slim yet roomy. Perfect for everyday carrying and for tactical use. Built with comfort, durability and functionality in mind. ● Front admin pocket for excellent organization. ● Two zippered side pockets specially designed for quick access to small items. ● Outer MOLLE webbings for attaching compatible pouches. ● Cushioned back for better comfort. Padding: A combination of open cell foam and closed cell foam for maximum carrying comfort.